Condition:In generally good condition, evidence of touching in several areas where there may have been horizontal rubbing losses. Canvas mounted on plywood. Not subject to black light examination. Varnish very dark. Note: The work is labeled in pencil verso "Burghardt Rezso" and also there is a printed label "Professor Burghardt Rezso 1884-1955" on a pasted label verso (see photos).The death date is apparently wrong. 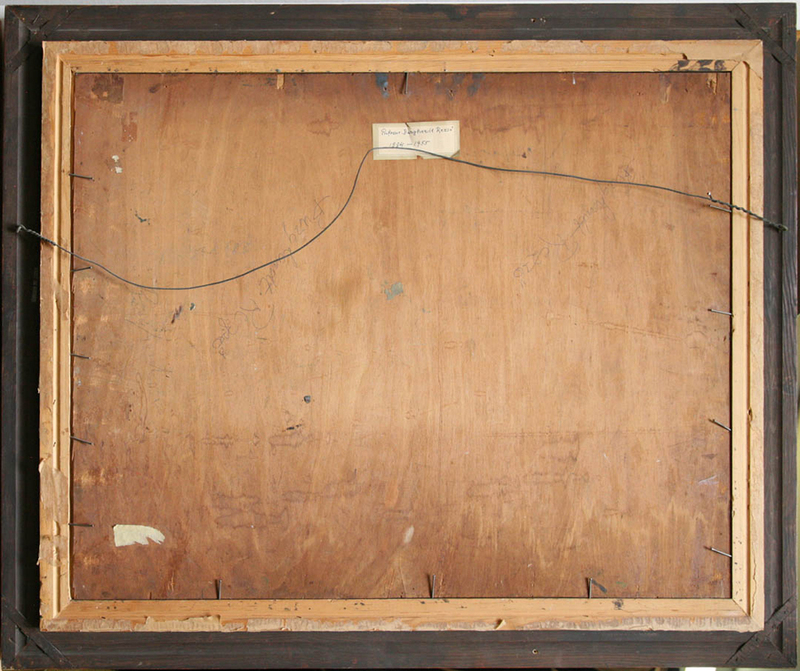 This work looks to have been cut down slightly which may account for the signature being slightly abbreviated as there is evidence that the signature continues beyond the right edge of the painting. (from Wikipedia) Burghardt Rezső Zsombolya Between 1903 and 1911, the Decorative Arts School, he studied under Hegedűs L�szl�. Protracted studies of the reason was that while studying abroad: in 1903 in Milan Breda Academy Cesare Talloni, 1905 in Paris, Lucien Simon and Ren� M�nard, and then from 1909 until 1911 in London John Singer Sargent's direction. In addition, when turned in Naples , Florence , Venice , Madrid , Netherlands . On his return, between 1913 and 1919 Bencz�r Gyula was a master school.After his death in Budapest Bencz�r colleagues formed the bencz�r Company . 1920 Temptation painting titled State awarded a small gold medal. 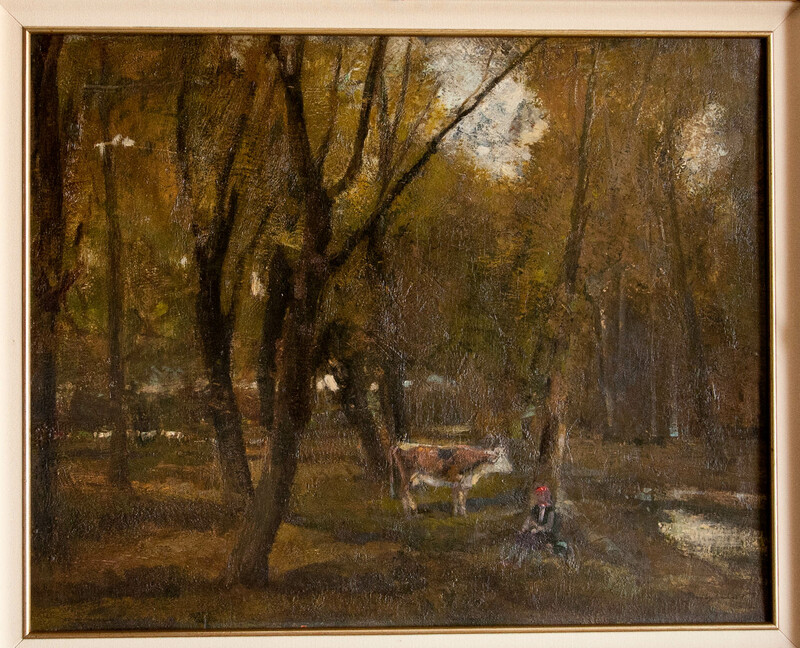 Since 1937, the Academy of Fine Arts he taught from 1938 he led the College of Miskolc artists' colony. It was regularly exhibiting artist, he is often featured in exhibitions abroad. Style of plein air and Baia Mare traditions based on the specific characteristics of the paint patchy. Landscapes , portraits , still-lifes , aktkompoz�ci�kat painted. 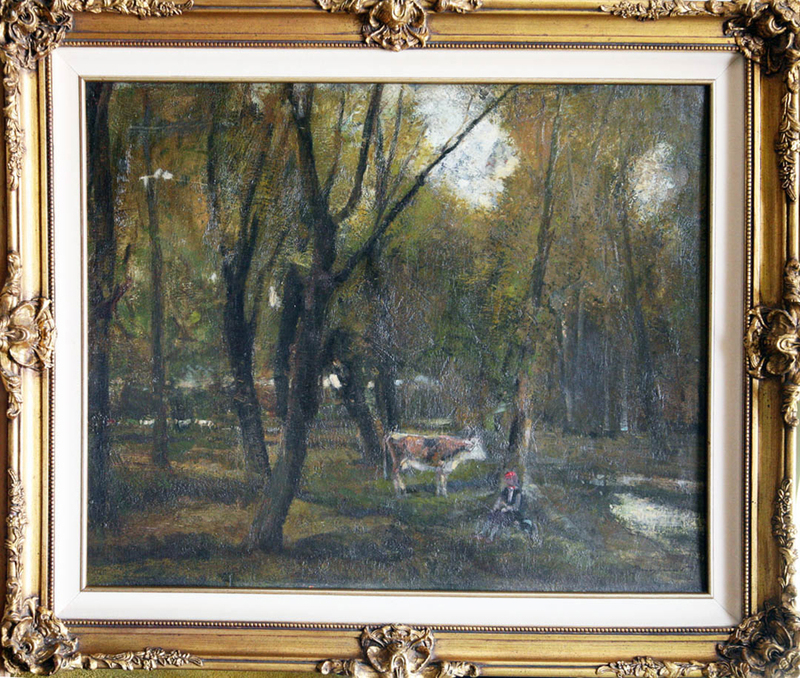 His work mainly in Miskolc Herman Ott� Museum and the Budapest Hungarian National Gallery preserves. He was a member of the Hungarian Society of Portrait Painters, the Szinyei Merse P�l Society , the Bencz�r Society, the Association of Hungarian Fine and Applied Arts (the latter was also honorary president) and was chairman of the Society of Painters in Miskolc.